This ride was pulled together at the last minute (hence the ‘Whatever’ name) because Chuck, a transplanted maggot from the eastern regions, was ‘hosting’ Chris, a maggot from the Toronto area in Canada. Chris was in the San Francisco Bay Area on a business trip, and had arranged for an extra weekend, so Chuck thought it would be a great idea to show Chris some of our local twisties. Good idea, right? Um… yeah. But Chuck would be out of town on vacation, and kinda tossed the ride planning and organizational tasks to Rand. 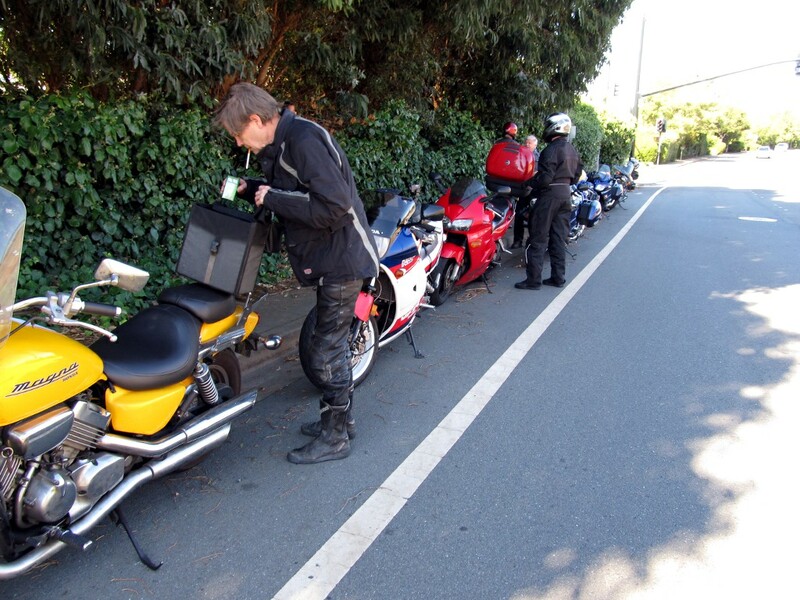 So Rand decided that rather than riding the overcrowded (and heavily patrolled) roads over on the ‘peninsula’, he would propose a ride of some of the East Bay twisties, and came up with a route that would prove completely satisfactory to everyone in attendance. 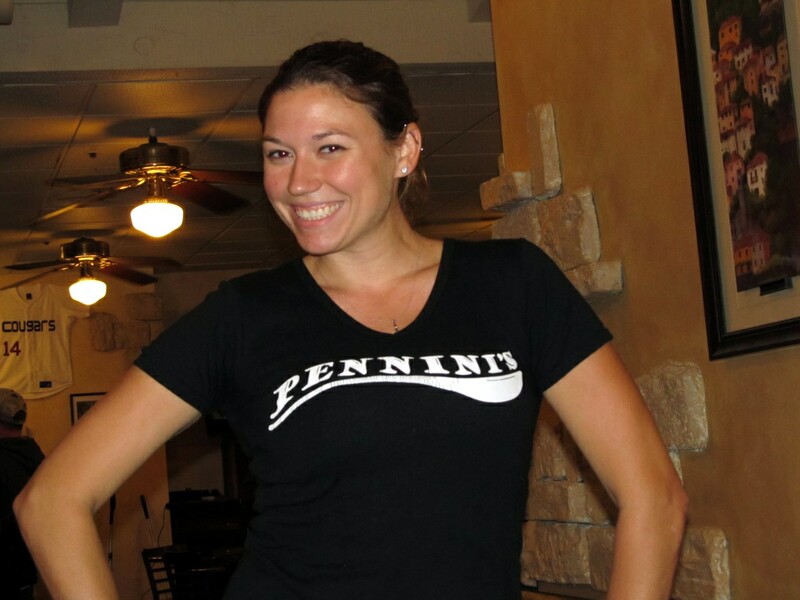 He even proposed a location for a Friday evening dinner hookup, a pre-ride breakfast spot, and a venue for a post-ride meal. I loaded up Valerie Viffer in preparation for my ride over to Moraga to hookup with Rand. 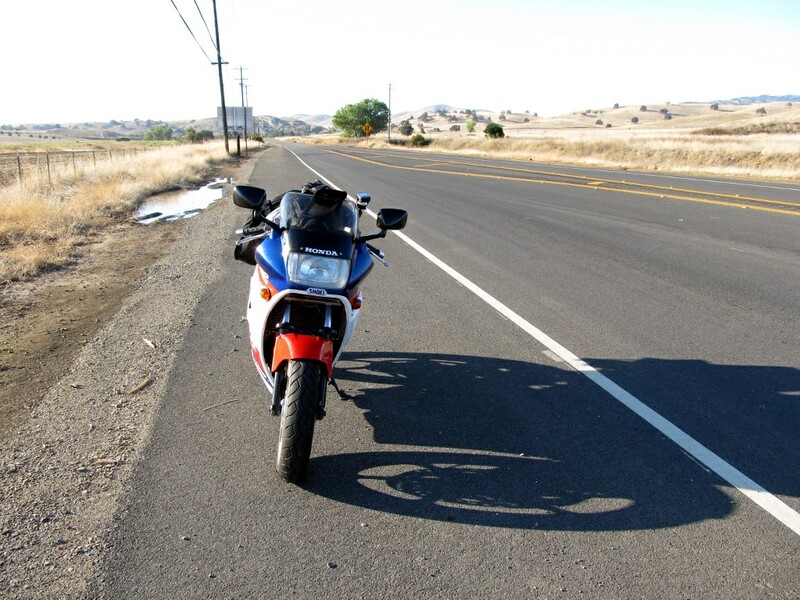 My ride across the San Joaquin valley and over the Diablo range was uneventful. 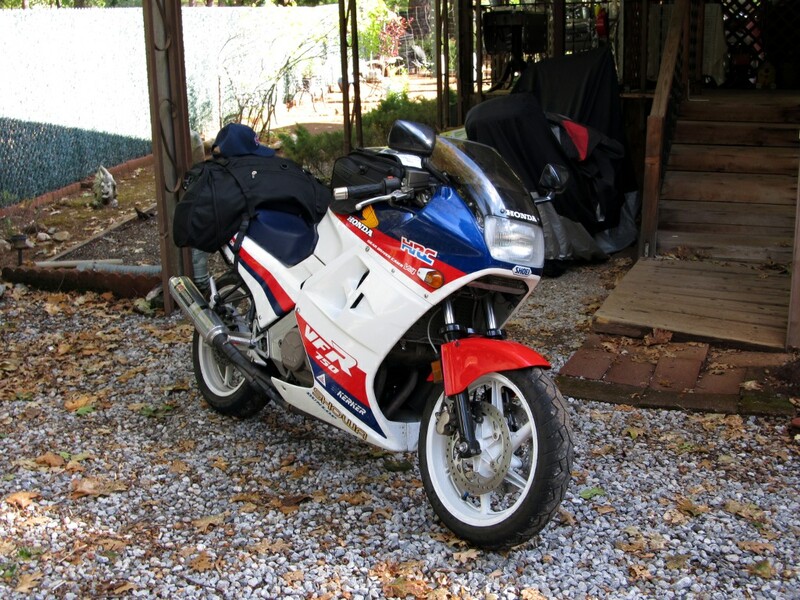 Only a few miles of freeway was used, mostly secondary roads and – of course – twisties. I road over Marsh Creek Road, which will be documented with video later. After a short relaxing break at Rand’s, we headed over to ‘Back Forty Texas BBQ’ in Pleasant Hill to hookup with whomever showed up. 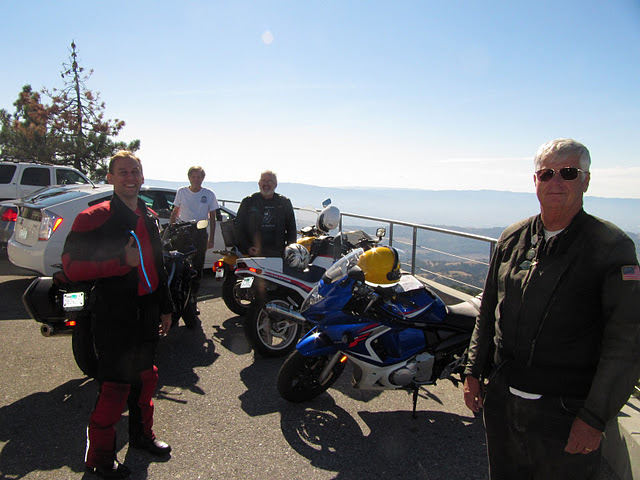 We were expecting Halfway Harry; but ended up with Dave Q from Hanford and Dennis who rode up with Harry from Southern CA. 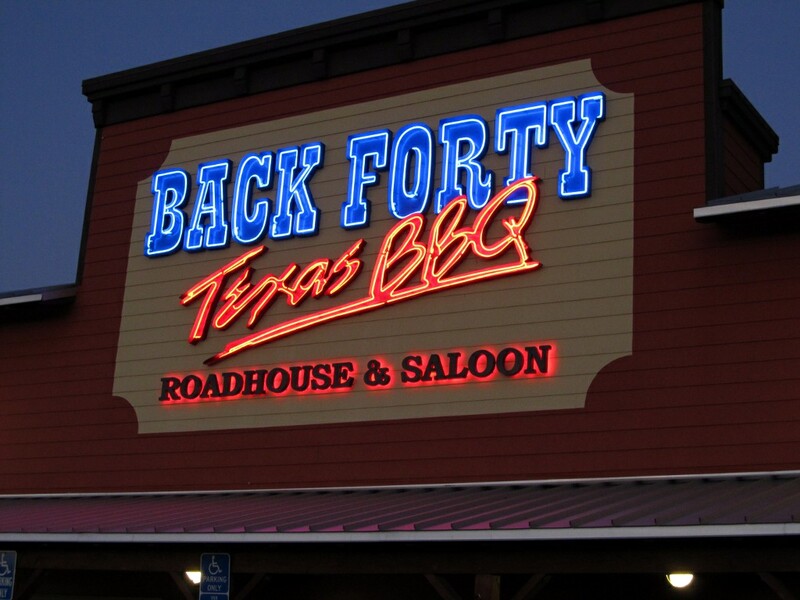 ‘Back Forty Texas BBQ’ was a good place for dinner! 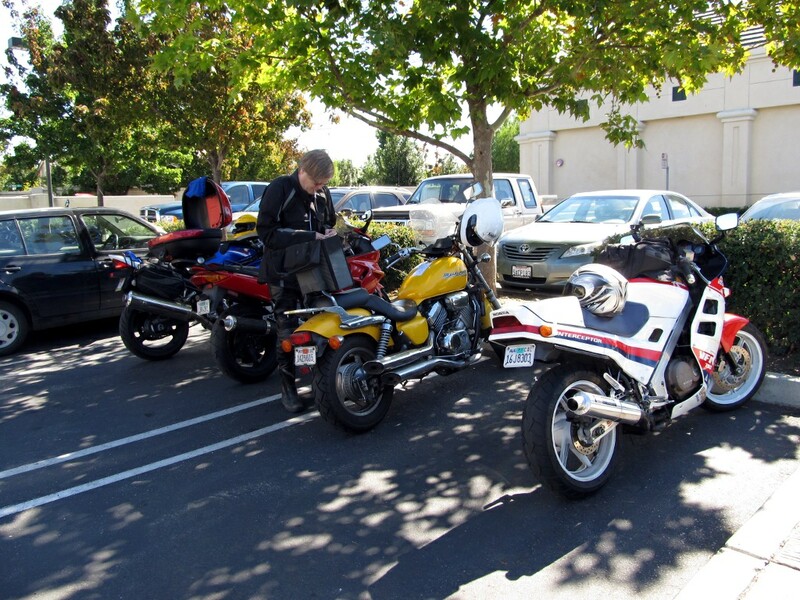 We managed to squeeze four of the five bikes into one spot. Dennis parked his FJR up on the deck. 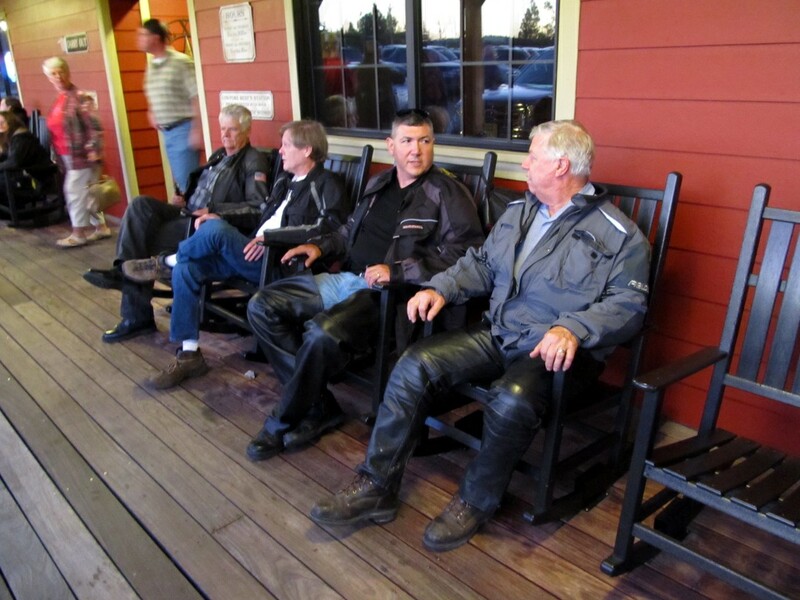 L-R Harry, Rand, Dave, and Dennis - waiting for our table. We took advantage of a coupon brought by Dave Q, and had a delicious ‘Austin style’ dinner of salad, brisket, chicken, mashed potatoes, and steamed veggies. After dinner we kicked tires for a few minutes before heading our separate ways to rest in preparation for the ride. Harry and Dennis would stay at maggot-friendly (read ‘cheap’) motel, Dave stayed with family in the East Bay, and I took advantage of Rand’s generous hospitatlity. After a good night’s sleep we all converged, on plan, at ‘Nations’ restaurant in Moraga for whatever we each chose to consume for breakfast. 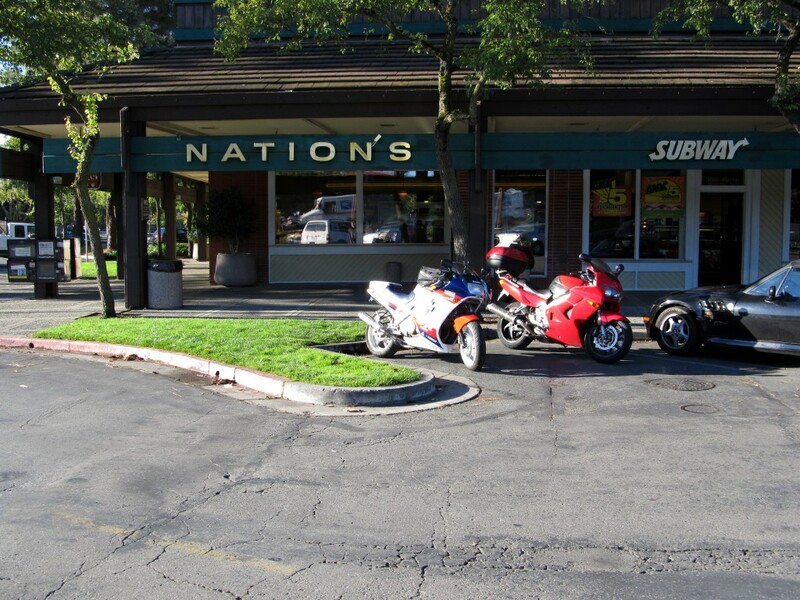 The food at Nations is pretty good; but it isn’t ‘fast food’. 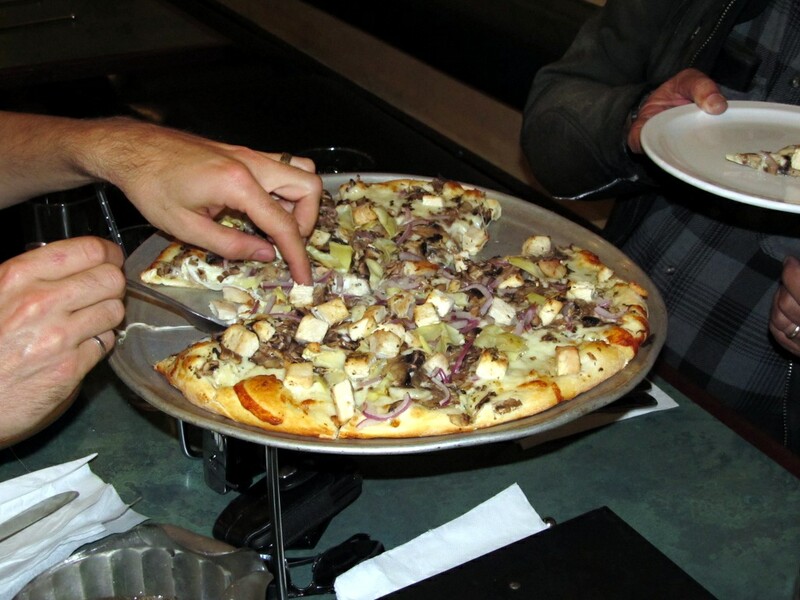 Dave, who arrived a little later than expected started his day with lemon meringue pie while he was waiting for his burger, while the rest of us chose more traditional breakfast fare. Rand – as usual – abstained from the morning meal. 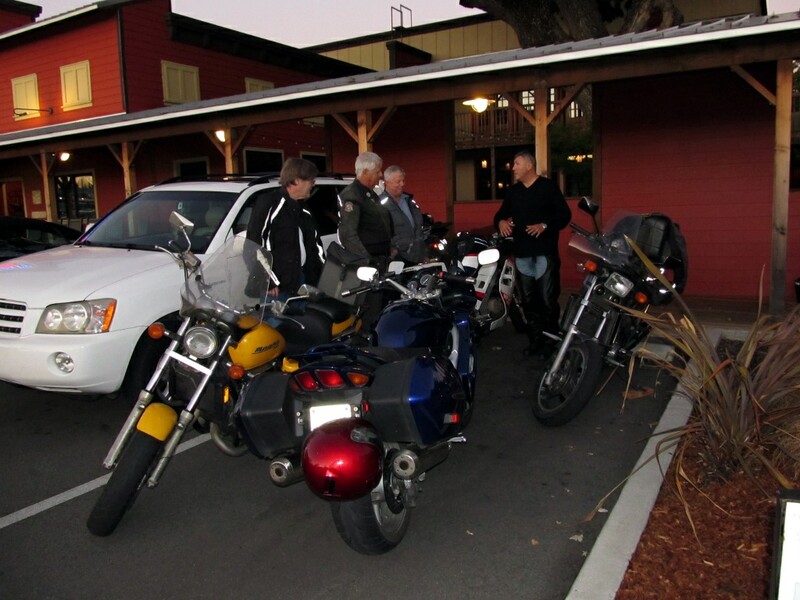 After finishing the meal, we prepared to ride. In spite of the late arrival, we launched promptly at 9am as planned. This would be a good thing. The ride is documented with plenty of video which will be posted as the editing gets done. Long story short, while we stopped a few times the day was very busy with riding more than 200 miles of VERY twisty roads. The average speed while actually riding was no more than 30-35 mph, so the time spent in the saddle was more than 6 hours. We rolled up to our dinner stop at 6:30pm after nine and a half hours. 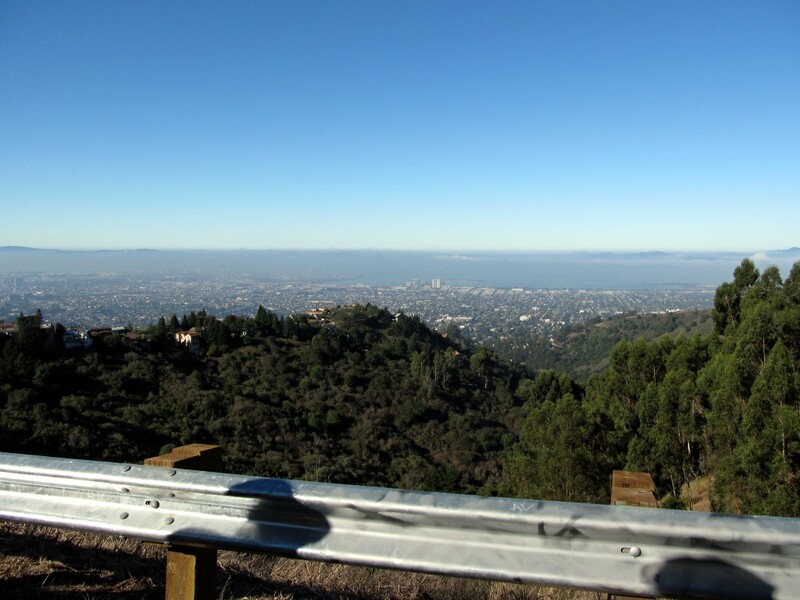 First brief break was a stop along Grizzly Peak Blvd to take in a view of Oakland and the San Francisco Bay. 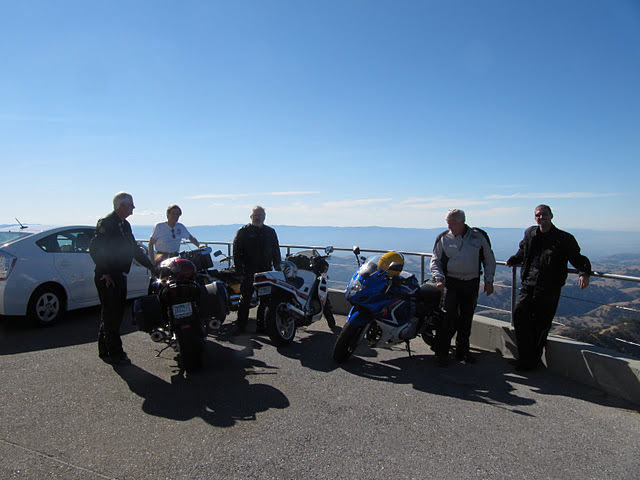 This was after riding Canyon Road, Pinehurst, Skyline Blvd, and a portion of Grizzly Peak Blvd. 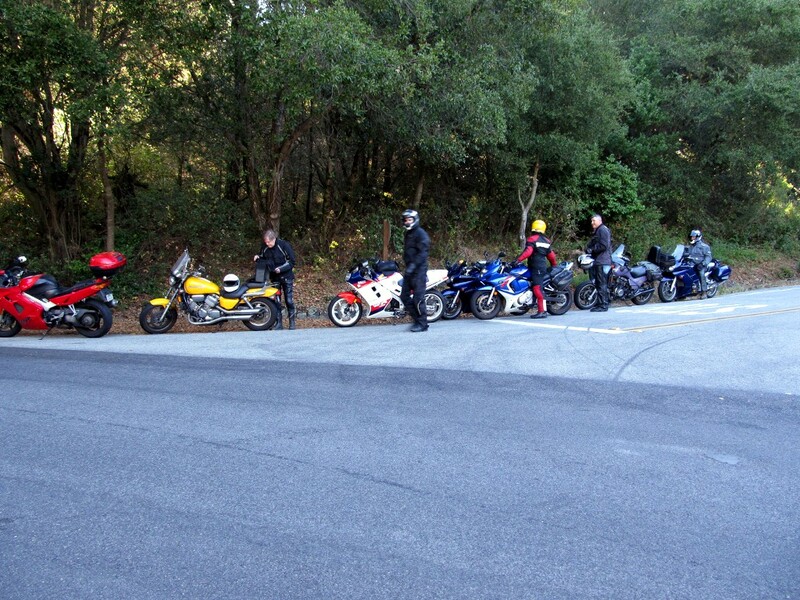 After riding Grizzly Peak road to S. Park Drive, some of us arrived at the Wildcat Canyon turn to discover one of our members was tardy. Dave had a minor ‘off’ in avoidance of a truck encroaching on his lane in a turn (these roads were really narrow in spots). We only waited ten minutes before Dave arrived unscathed and eager to continue. We rode on, following Rand’s prescribed path. 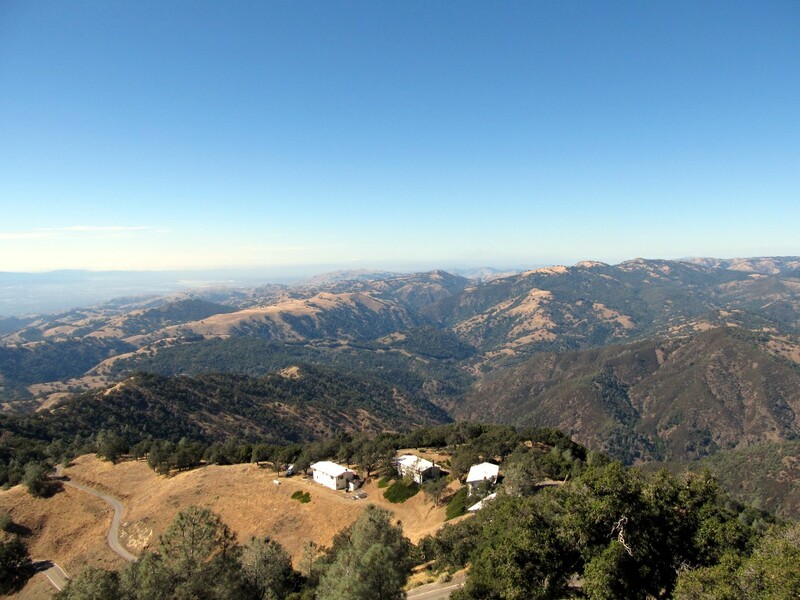 Wildcat Canyon to Bear Creek and onto Alhambra Valley Road. Then Reliez Valley Road, Blue Ridge, Alhambra Ave., Pleasant Hill, and Taylor Blvd. We rode Sunvalley Blvd., Willow Pass Road, Grant, and Concord Blvd. 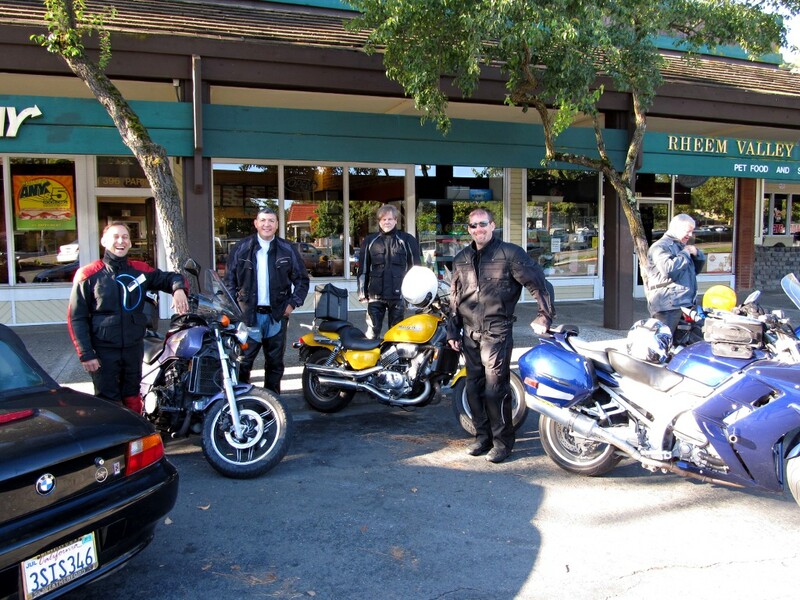 before making it to Clayton Road and riding back into the hills to navigate Marsh Creek Road on our way to Vasco Road and our lunch stop in Livermore. After lunch Dave Q parted our company to hookup with family again, leaving us with six to ride. After a quick sandwich at Subway we headed out of town to pickup Tesla Road, then Mines Road up to the Junction. We arrived at that well known spot to find that Dennis had gone on – thinking he was behind us and needed to catchup. While Rand, Harry and I waited for Dennis to realize his folly and return, Chris and Chuck turned around to strafe the fantastic road that is Mines a second time, returning with huge grins just before Dennis rolled up. No pics from this break (yet). 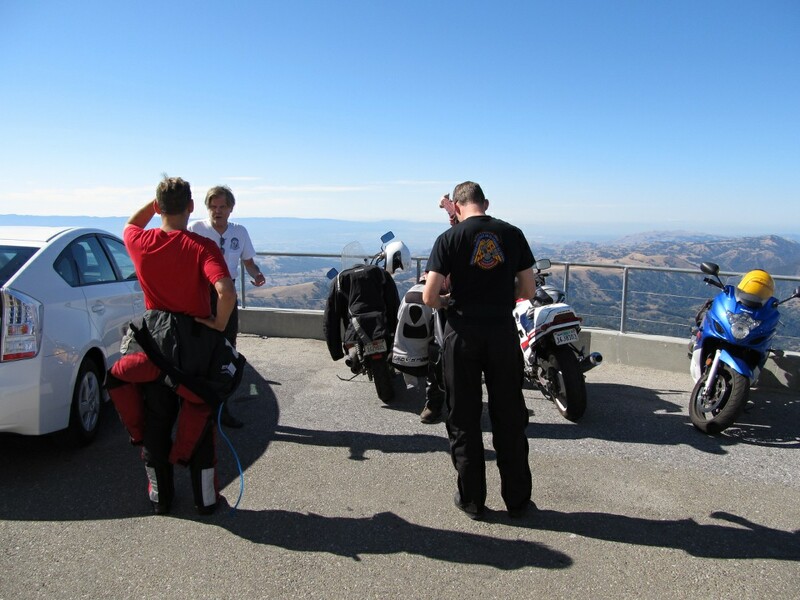 We geared up and rode on, taking San Antonio Valley Road up the hill to pickup Mt. Hamilton Road which is perhaps the nastiest two lane tarmac you can imagine. 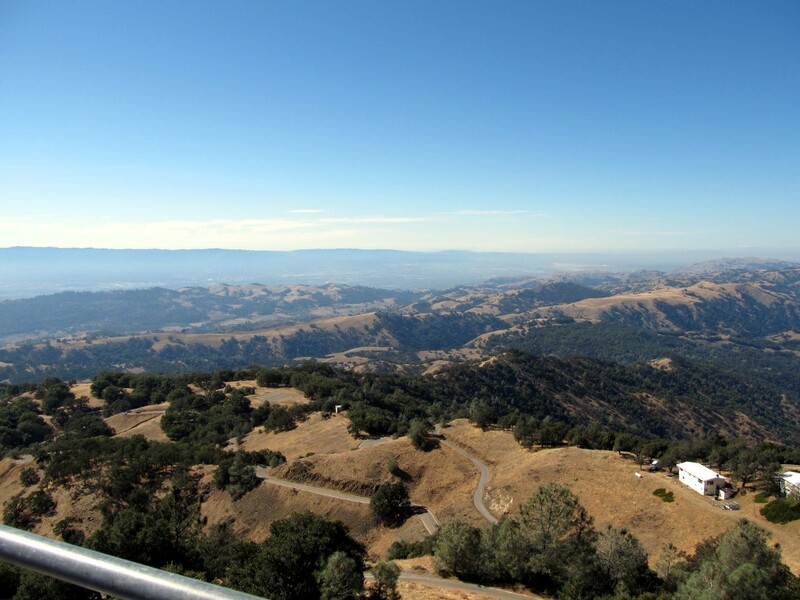 Lots of low-gear, barely-above-idle switchbacks as it winds its way up to the Lick Observatory where we paused so the ‘visitors’ in our midst could take the tour for the first time. 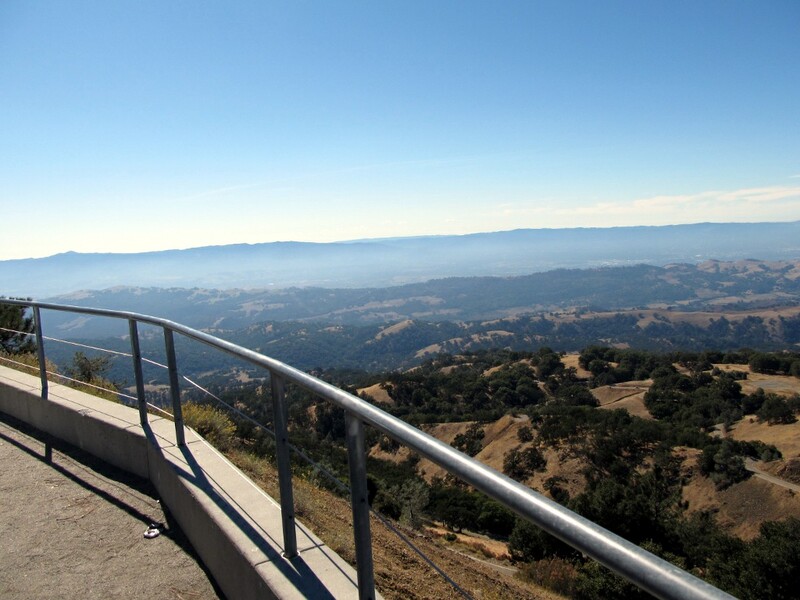 After our longish break at the Observatory, we mounted up and headed down the ‘front’ side of Mt. Hamilton Road. Twenty-plus miles of tight twisties that doesn’t really open up until you’re down in San Jose, where we found Alum Rock Ave. This is where apparently Val decided she was tired, and laid down for a little dirt nap. 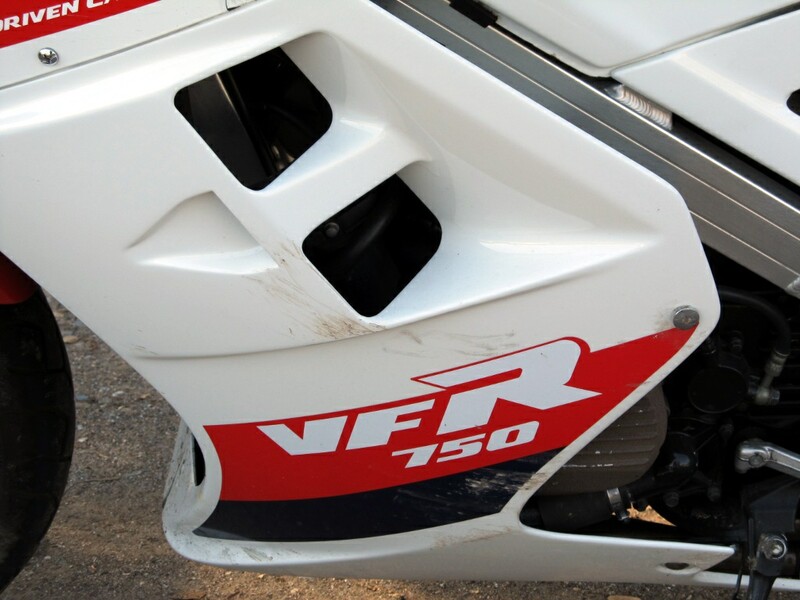 Okay, what really happened was I followed Rand off the pavement onto a nice wide dirt shoulder, stopped the bike, shut it down, then put the kickstand down what I thought was all the way. When I dismounted, she just fell over on her side. That picture was taken before we brushed the dirt off. No real damage was done, at least nothing that will take more than a little elbow grease to fix. 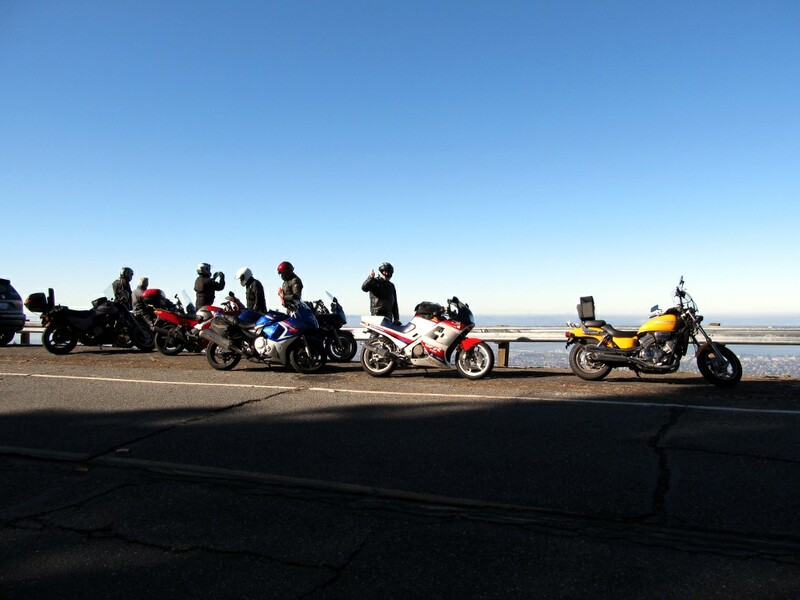 Once everyone caught up we headed through a bit of San Jose, taking Alum Rock to McKee, then N. White to Piedmont before heading back into the hills and more twisties on Sierra Road, Felter Road, and Calaveras Road. Then through Niles Canyon to Palomares Road. 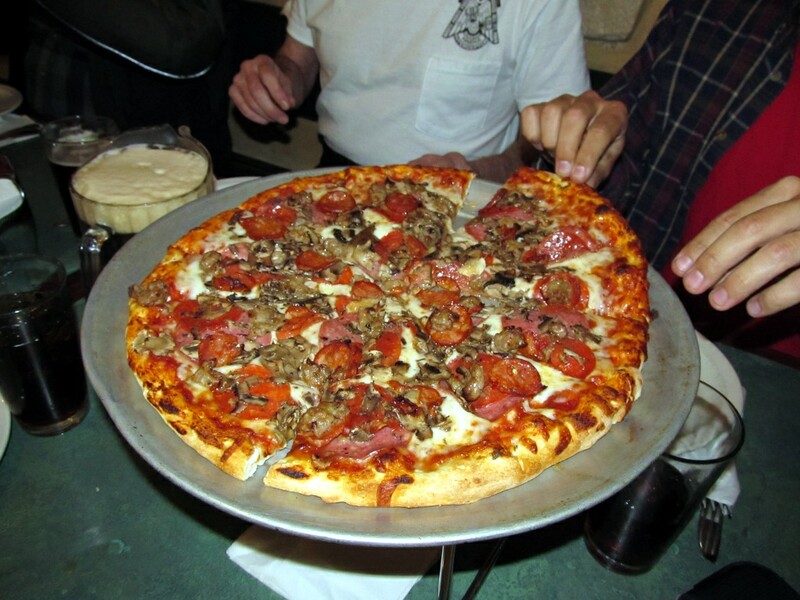 A favorite segment of twisties, we would take Palomares to Castro Valley Blvd and on to Redwood Road, finding Pinehurst for the return to Canyon Road and on to Moraga for our Dinner stop at Pennini’s in Moraga. 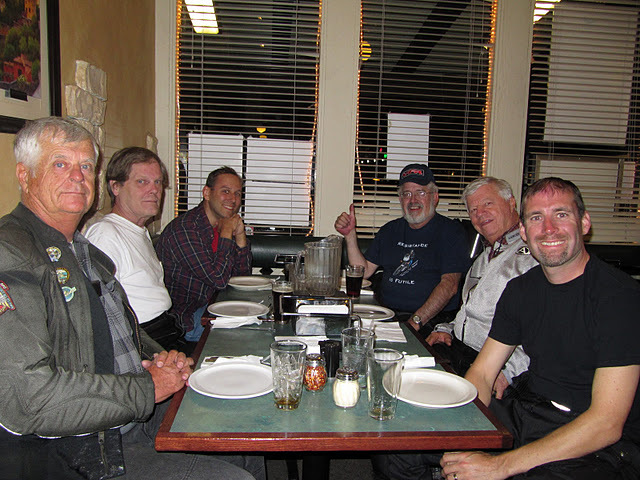 Nine and a half hours after we left, six very tired riders piled into the fine Italian venue for some well-deserved drinks and excellent pizza. 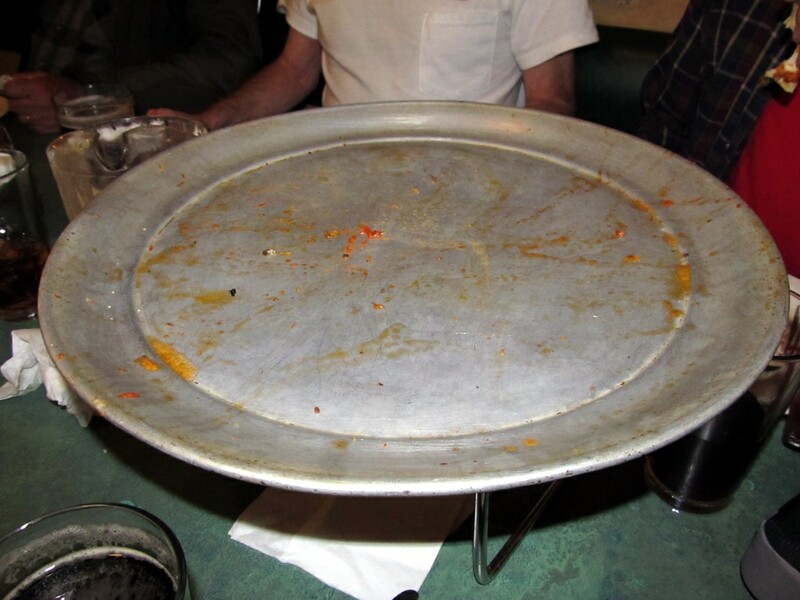 We finished every scrap of the delicious pies. 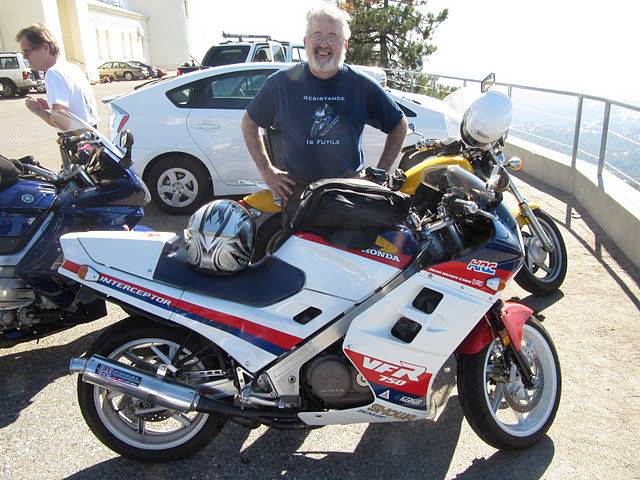 Here’s a tired; but very happy Chuck F., relaxing before his ride (with Chris) back to San Francisco and home. 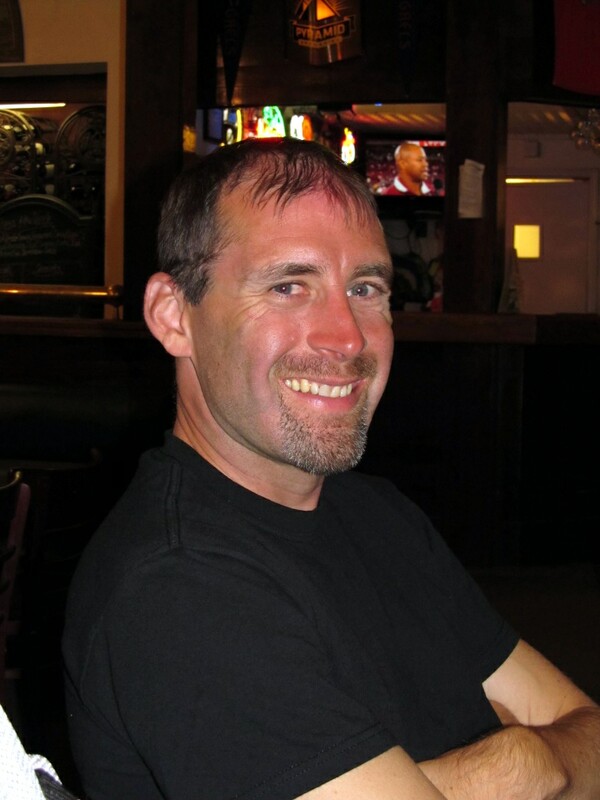 And of course the honored visitor Chris P., sunburned and whipped; but very happy. 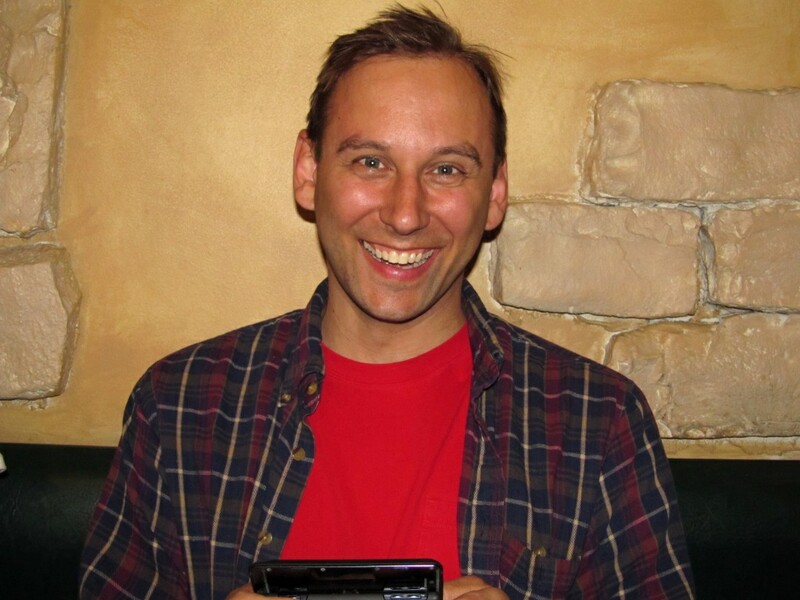 and the guest of honor, Chris Park. He had that grin on his face all day. And because someone already mentioned it (thanks Harry), here’s a pic of the young lady who graced our table with her cheery presence after our meal. Her smile brightened the end of the day considerably! Rand and I rode back to Moraga, relaxed while watching the last twenty laps (or so) of the Bathurst 1000 V8 Supercar race from Australia before I crashed heavily (in the bed!) to sleep off a very busy day. My ride home the following morning was uneventful, except that the air was very damp and I ended up having to stop a few times to dry off my faceshield and glasses before I got over the hill to the valley and some welcome sunshine. It was another great time with good people, good roads, and good food as well! 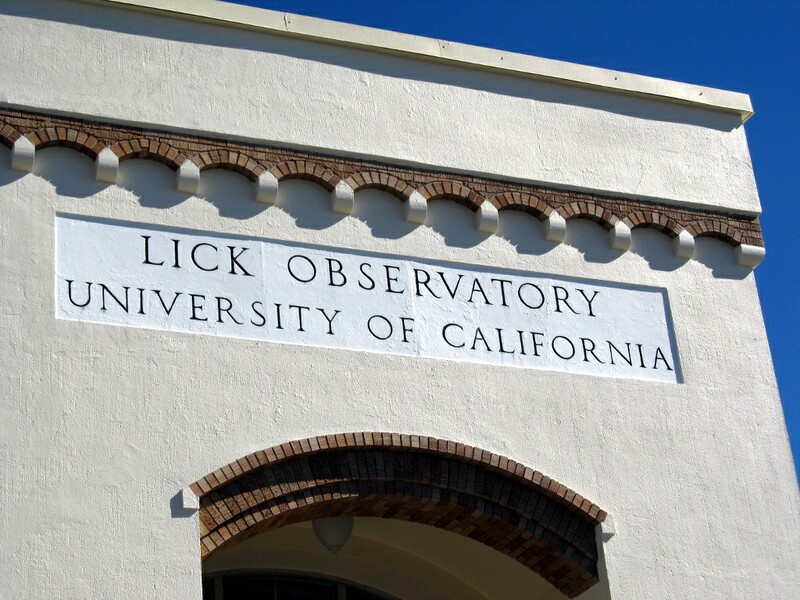 Here are a few more pics taken by Chris Park when we were stopped at the Lick Observatory, and one taken by our waitress at the dinner stop in Moraga. Chuck and Harry (with Rand & me in the back) at Mt. Hamilton.